David Brody was born in New York City. His paintings and drawings have been shown in close to one hundred exhibitions in the US and in Europe. These include solo shows at Gallery NAGA in Boston, Esther Claypool Gallery in Seattle, Gescheidle in Chicago, and Galeria Gilde in Portugal. His group exhibitions include shows at the Chicago Center for the Print; the Frye Art Museum and Prographica Gallery in Seattle; The Museum of Fine Arts at Florida State University; and at The Painting Center, Alternative Museum, and Bridgewater Fine Arts in New York City. His work has also been shown at the ARCO Art Fair in Madrid; the RipArte Art Fair in Rome; the Trevi Flash Art Museum, in Trevi, Italy; the FAC Art Fair in Lisbon; and at Art Chicago in the US. His work has been published and written about in two monographs and in many articles and reviews. An exhibit at the Esther Claypool Gallery in Seattle was described by the Seattle Weekly as, “daring, humorous, and superbly executed”; in Artforum they wrote: “Brody’s . . .paintings . . . provide a stunning visual punch . . . [and] are rendered with a bravura that is both compelling and hypnotic.”; and, in Art in America they said, “A highly intelligent artist . . . Brody is absolutely serious about technique. An emphasis on fine drawing, delicate surfaces and careful considerations of color and light informs all his pictures.” In addition, Brody has been written about in many other publications including The Boston Globe; the New Art Examiner; the Spanish journal, Lapiz; and in the Lisbon daily O Público. Brody has received numerous awards. 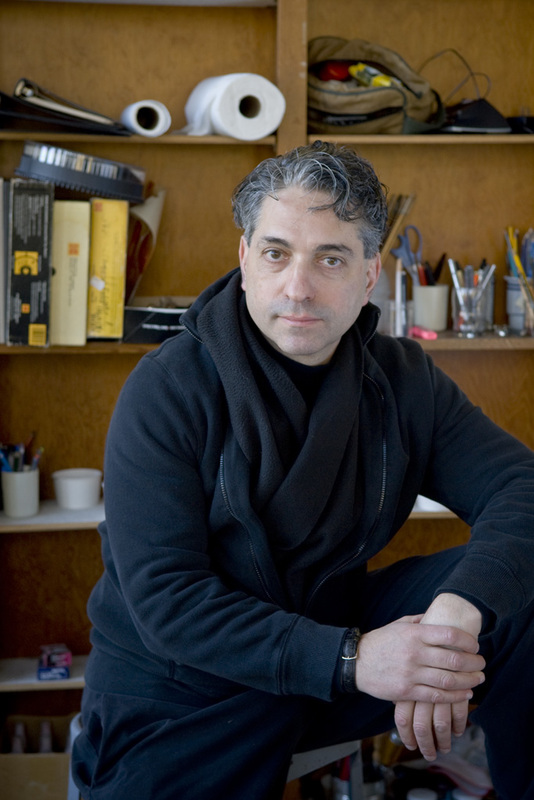 He’s been both a Fulbright Scholar and a Guggenheim Fellow, received the Basil H. Alkazzi Award in Painting, an Elizabeth Foundation Grant, and two Massachusetts Artist Fellowships. At the University of Washington he was awarded two Royalty Research Fund grants and three Milliman Endowment for Faculty Excellence awards. He has lectured or been a visiting critic at Carnegie Mellon University, MIT, The University of Chicago, Harvard University, Capital Normal University in Beijing, and at the China Art Academy in Hangzhou. In addition to his studio work, he recently wrote and filmed a college-level drawing course for The Great Courses/The Teaching Company. The course, titled “How to Draw,” consists of thirty-six half hour lectures and is available for download and on DVD. Brody has had a parallel career in music. He has published five books on traditional music including the best selling The Fiddler’s Fakebook (Oak Publications, NY). He has performed at music festivals in the United States, Europe, and Canada and has appeared at Avery Fisher Hall and Symphony Space in New York City as well as on Garrison Keillor’s radio show “A Prairie Home Companion.” He has recorded with The Klezmer Conservatory Band and other artists on the Rounder, Vanguard, and Flying Fish labels. He is currently writing and performing original music and lyrics. He has been a professor at the University of Washington in Seattle since 1996. David Brody; Pattern Room with Diamonds and Squares, Violet; 2015; archival inkjet print, edition of 3; 20 x 20"
David Brody; Cylinder, Cone, and Sphere Room; 2016; archival inkjet print, edition of 3; 20 x 20"
David Brody, Red Stripe Room, 2016; archival inkjet print, edition of 3; 20 x 20"